Today I am sharing another card I made in card class with Julie Ebersole and then a card I made with the same idea. 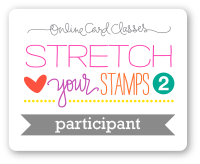 Julie's classes are so fun in that you come home with a bunch of beautiful cards and lots of great ideas too! We used a fun washi tape to create a background for our foiled die cut sentiment. The foil is just beautiful in real life! A couple of sequins to finish it off - easy peasy CAS and so Julie! I didn't have a sentiment die cut that was three words, so I used the same word three times. I used a wider washi tape in order to fit my sentiment within the defined border, but I think I like the white space the thinner washi provides better. I also used three different colors of foil, a gold, a red and a silver. Again, the foil is so pretty but hard to capture for a photography novice like me! This time I just used a dark background paper and the silver foil on my Hero Arts Thank You die cut. This font is so pretty, it didn't need much more than the foil to make a big impact. I also used a 4 bar card size, so the die cut would fill the whole card. I might go back and add a couple of sequins to this one too, what do you think? Hello! Today is a special day for a special someone! It is Katie Brooks Birthday, and a bunch of us are getting together to help her celebrate with a fun blog hop! My card is based off of one of Katie's cards that I liked. She made this card for a Fusion challenge a while back and I really like it, so thought it would be fun to CASE it for her birthday card today. I thought the bright yellow paired with the blue was a great combination, so I decided to use those same colors and of course the cupcakes! It is a birthday after all!! The cake stand was made with FOIL! This is so fun and the results are so fantastic, if you haven't tried it yet, you need to!! I die cut the Savvy Stamps cake plate die from some double sided adhesive sheets. Remove one side of the release paper, place your foil with the shiny side up, and rub the foil onto the sticky die cut. Peel off the foil sheet, and you have one silver, shiny cake plate - just perfect for some cupcakes! The cupcakes are from an older SU set, and I colored them with my copics. The panel was cut with a stitched rectangle die and matted with some bright yellow card stock. Hope you are having fun hopping along to help celebrate Katie's birthday! The next stop on the hop is the sweet Lenae's blog. Laura <<<< You are here! Julies card we made in class used distress stains to color the background and then a bold flower stamp and fun sentiment highlighted that gorgeous color. I don't have any distress stains, but loved the look so used the same concept with my watercolor pencils and a sentiment from Julie's line of stamps at Ellen Hutson. I used watercolor paper and the sentiment didn't stamp perfectly, but I still think it turned out great! Even with the softer watercolor look, it is bright and fun! I plan to showcase a few more cards from class and my take on them over the next week or so - stay tuned if you want to see more!! Thanks for checking in today - hope you are having a great day! 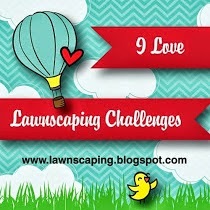 I am joining in the fun over at PTI today where they are having their monthly blog hop. The inspiration photo they provided was so much fun, I just had to play along!! Here is the cute photo of the little girl shoes, all decked out with grey stripes and big orange flowers. I used the PTI pencil flower die cut to create my flowers out of PTI felt. The sentiment in from Wet Paint. I was going to use the cover plate stripes to create my background, but I thought the stripes weren't the right size. Then I found this piece of patterned paper from My Mind's Eye and thought it would work perfectly! I can't wait to see what everyone else comes up with for this great hop! I have a couple of cards to share today that were made for some teachers at my son's elementary school. This was his last year there, as he is moving up to middle school next year! This first card was made for his teacher this year - Mrs. Shimchick. I used the PTI pencil me in stamp set to make this fun card I thought was great for an elementary teacher. The next card is similar, but is for a teacher that is retiring after 27 years of teaching at the school! The last card is just a thank you card for another of his teachers that have been so amazing over the years. We are lucky to have such wonderful talented teachers who truly care about our kids! I used the new ombre ink pad from Hero Arts and stamped the 5 lines background. Then I added the thank you die cut also from Hero Arts. Very simple, but I like the way it turned out. It was a fun day of celebrating his last day of 5th grade and moving on to middle school next year, where he will join his sister who will be an 8th grader. It seems like I just signed him up for Kindergarten - where did the time go? Thanks for stopping by! Hope you all have an amazing summer! I'm back today to share another card I made for the Summer Coffee Lover's Blog Hop hosted by the sweet Amy Tsuruta and Chaitali Narla. It has been so much fun to browse the gallery and see so many inspiring cards. You have until Friday June 12th to post your card and be entered to win some amazing prizes! My card features the Hero Arts 'A Little' stamp set and the Hero Arts Five Line BG stamp. I tried to use some summery colors and created an ombre effect on both the background and the focal point. The background was created with 3 different shades of SU inks. It's hard to tell in the photo, but there really are 3 shades of pink. Then I white embossed the fun saying and applied peacock feathers distress ink over the top. I applied it heavily on the bottom, and lighter at the top to mimic the background. 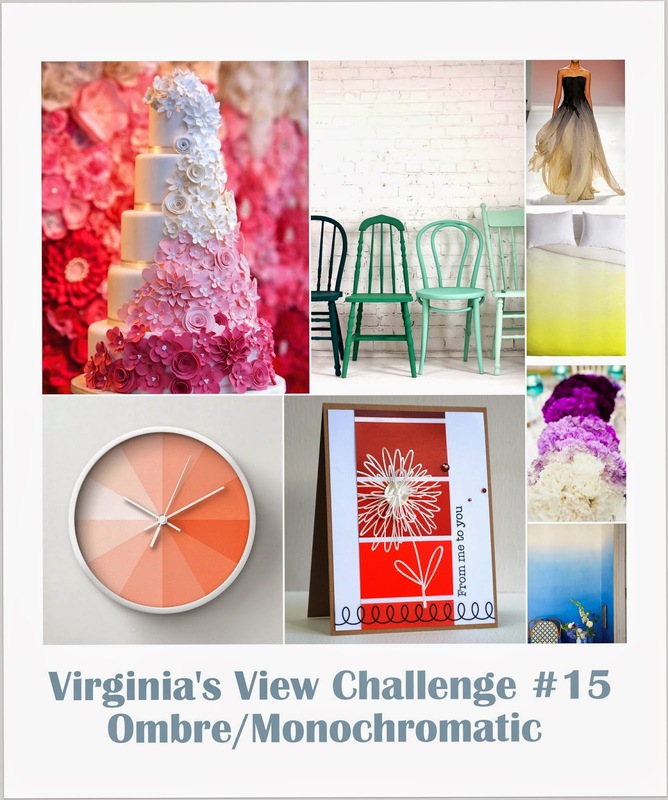 I am also entering this card into Virginia's View Challenge where the theme is Ombre/Monochromatic. What a fun theme Virginia - so many beautiful cards over there too! 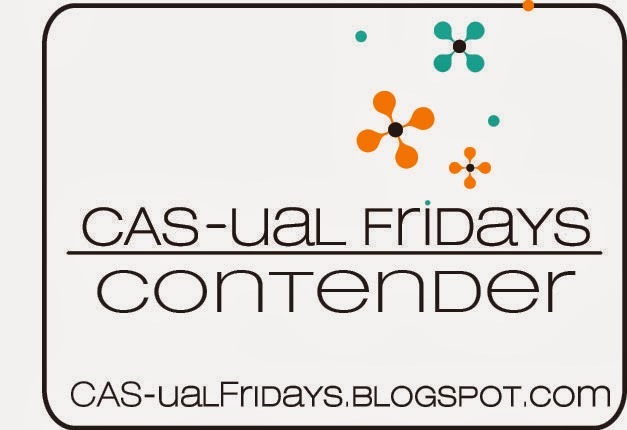 Today I am having some fun with the sweet folks over at the Coffee Lover's Summer Blog Hop! Amy and Chaitali have done it again and coordinated some awesome prizes for those who play along. 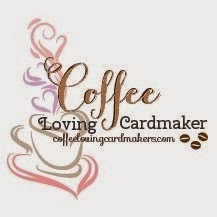 Create a coffee themed card or other project, add it to the linky, and have a great time looking at others wonderful creations! What could be more fun for a Friday? My card uses a Fiskars stamp set and I used the no line watercoloring technique on my cup o' joe. I stamped it with antique linen distress ink, then colored over it with different colors of distress markers. Added some water to fill in the color and soften the look. I cut it into a tag shape and added a second tag from some brown paper. The tag was then added with foam tape to a bold chevron patterned background. Thanks for stopping by! Enjoy the hop!